The modern Salisbury encompasses sixteen miles of farms, beach, marshlands and both residential and commercial space. Active community groups and cooperation between town officials and townspeople make Salisbury a fine place to live, locate a business or spend a vacation. The newly-formed Economic Development Commission is working on expanding the town's commercial and industrial base. Some of the attractive features for businesses include its proximity to Boston, and the lowest tax rates in the Merrimack Valley, which is a plus for both businesses and residents. The Town includes four distinctly different areas: Salisbury Beach, a barrier beach with miles of beautiful sandy Atlantic Ocean beaches and salt marshes surrounding dense residential and commercial beachfront development; Salisbury Plains, featuring farms and suburban homes set in fields and rolling woodlands; Salisbury Square, a colonial village center with churches, municipal buildings and village residences; and Ring's Island, once a colonial fishing village facing Newburyport on the Merrimack River and now supporting a neighborhood of restored antique homes and riverfront marine businesses. Recreational activities include a reservation for seal and bird-watching, camping, boating, fishing, and swimming. Estimated median home cost in 2012: $246,000. Estimated median household income in 2010: $56,205. To see what's around Salisbury, please CLICK HERE. Salisbury beach North End directly across the street from 4 miles of sandy beach. 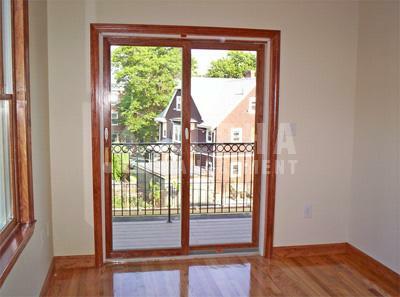 This freshly painted, 3 bedroom offers gas heat, and 2 car parking.